For a bounded Jacobi operator (a discrete analog of the Sturm–Liouville operator on the half-axis), the compactness of a perturbation is studied. The perturbation is produced by a change of the spectral measure (the essential spectrum remains unchanged). Bibliography: 21 titles. Translated from Zapiski Nauchnykh Seminarov POMI, Vol. 366, 2009, pp. 84–101. 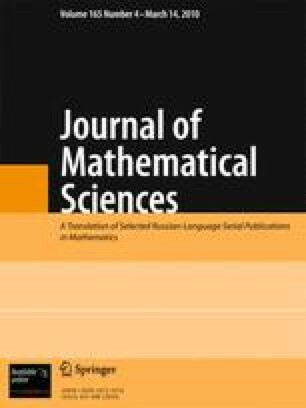 D. Damanik, R. Killip, and B. Simon, “Perturbations of orthogonal polynomials with periodic recursion coeffients,” preprint (http://arxiv.org/abs/math/0702388).